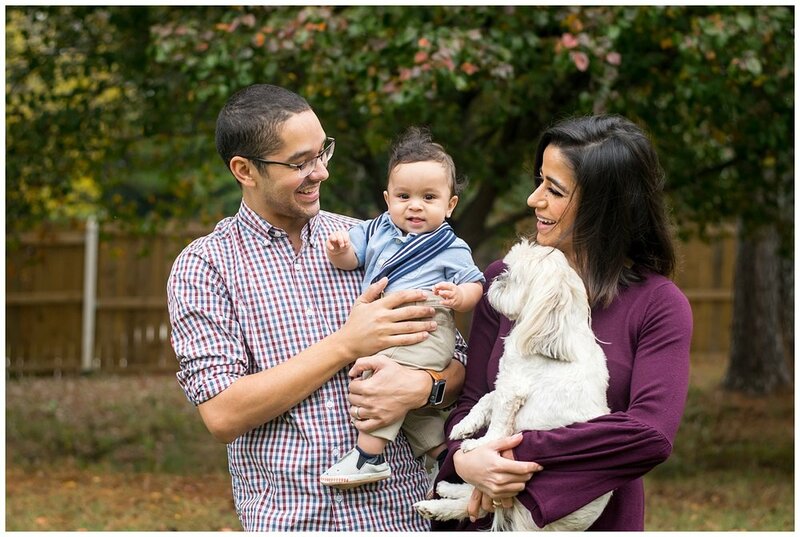 This was my second time photographing this Mommy and toddler and we decided to do a Mommy and Me session! Click here if you want to see Cole's one year cupcake smash! 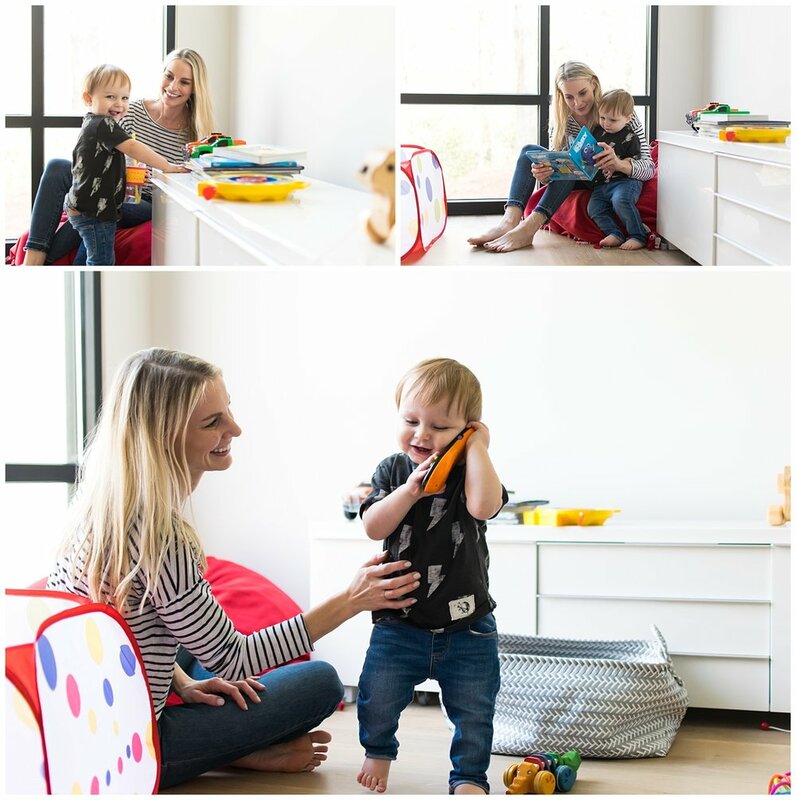 Cole is such a fun toddler and we went with the flow during this in-home lifestyle session. What I love about this age is that it ends up being more fun and relaxed when you go with the toddler's lead and what he or she wants to do. 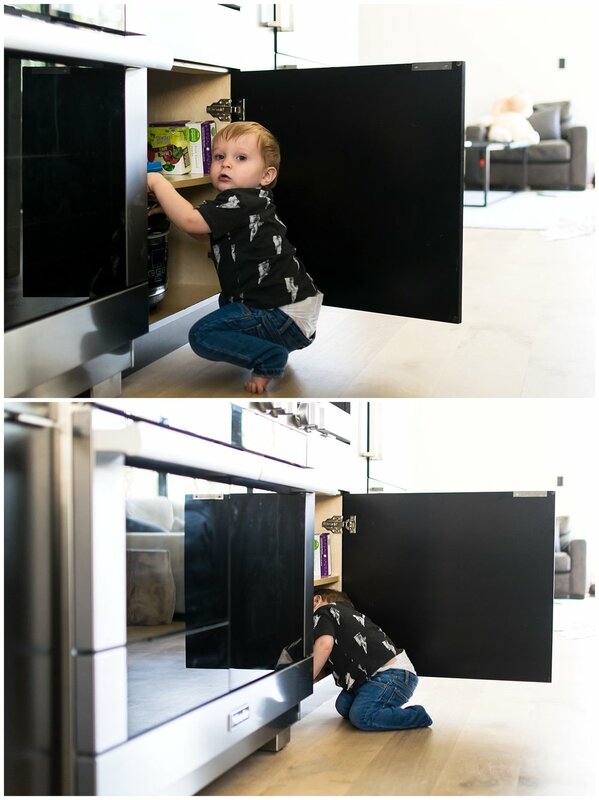 We had so much fun today reading books, playing with puzzles, eating a snack, playing with toys, playing airplane with mommy, and really just seeing what Cole had in mind to do. I love capturing the way she and he look and adore each other. Mom is a local photographer so it's always fun to give her some fresh images of her and her little snugglebug! That's what lifestyle is all about. Capturing real life. If you are interested in booking a family session, get in touch with me by filling out this contact form and we can get something on the calendar! Can't wait to meet you! When you're six months old you can look cute pretty much doing anything. 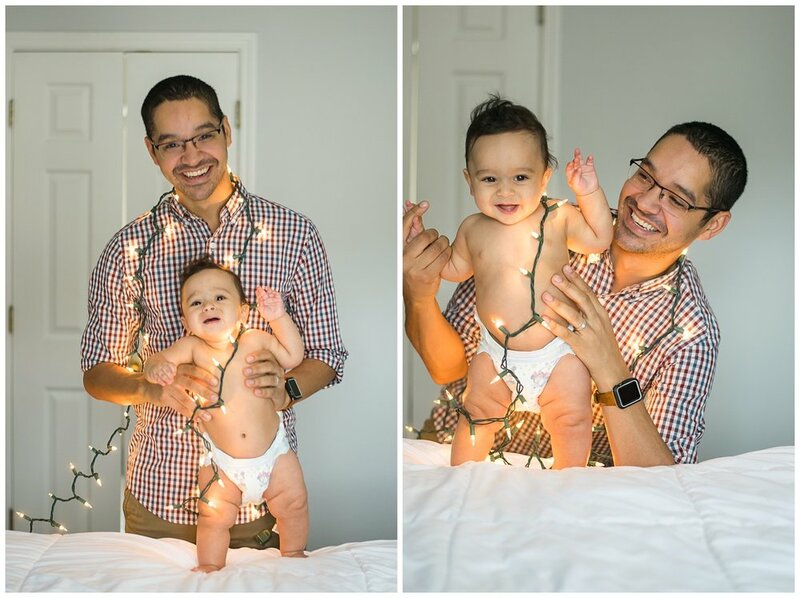 You can tell how much joy this family has for their littlest Cam! 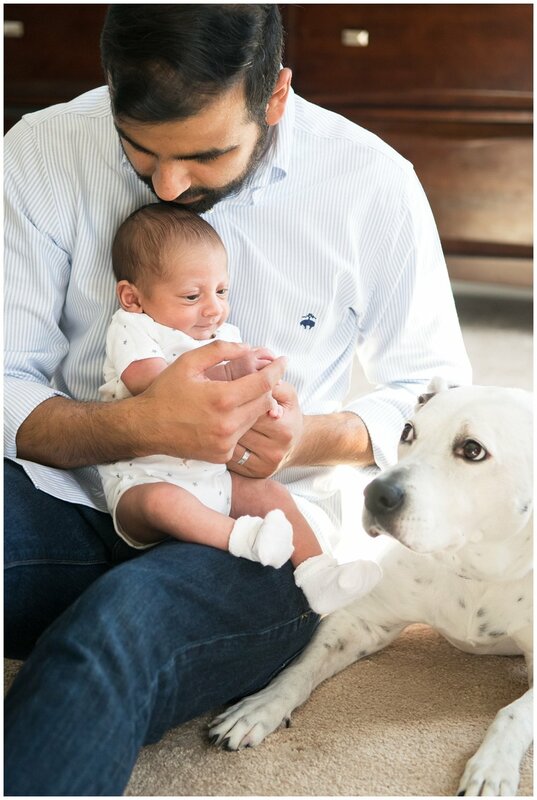 I loved that they wanted to include their furchild Max during our time together, because what's a family session without the whole family! 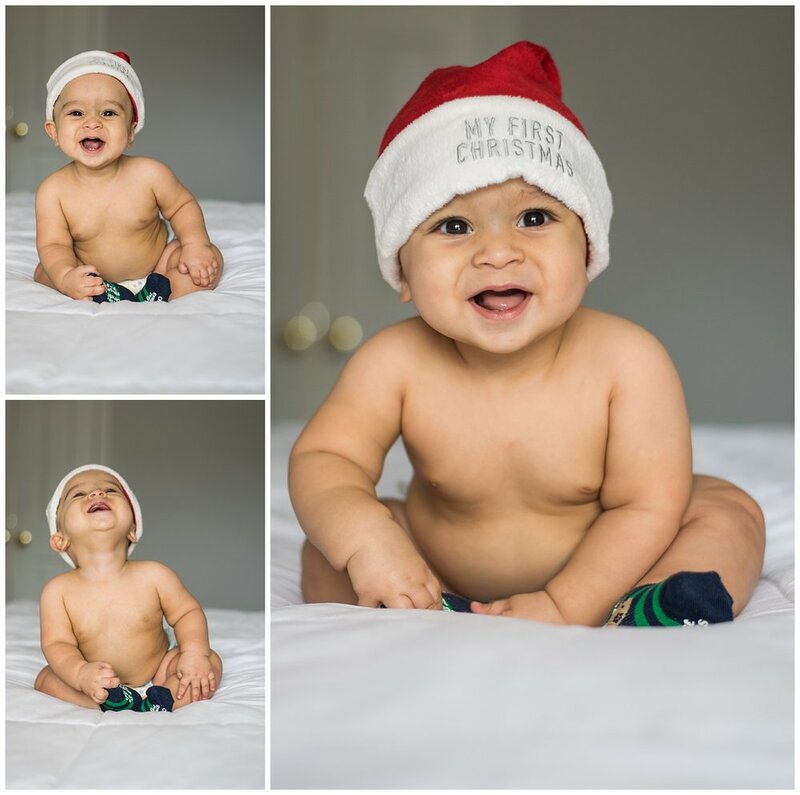 We took these photos close to the holidays so keep scrolling if you want to see how much Christmas spirit this little guy had! What I love about lifestyle sessions is that there will always be a time to get a family portrait, but sometimes you have to let the Playtime at the Park moments naturally happen that might include stick fights! If you'd like a session at your home or in your backyard, check out a recent Backyard Fun session here! 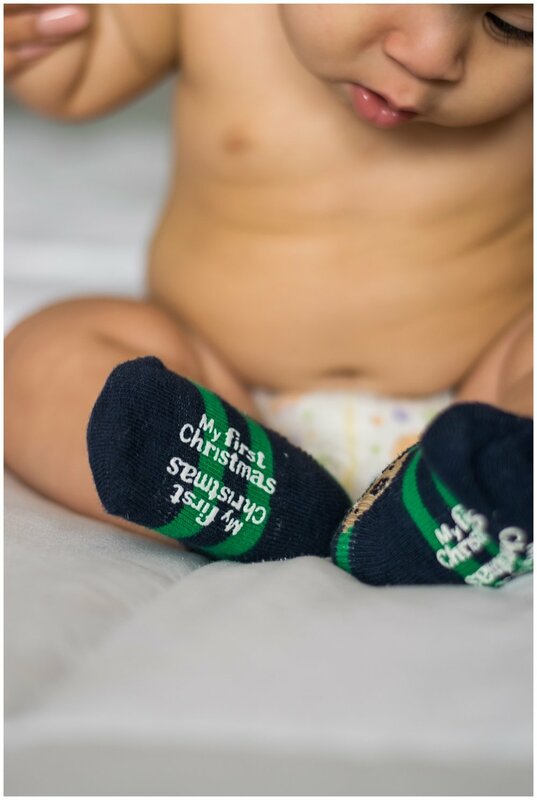 A friend of mine mentioned she had a friend that was interested in a newborn session. I was so happy when she reached out to me and I was able to photograph their 3-week-old newborn. I was happy that we got to spend a lot of time in Krishan's nursery, where Mom and Dad put some special touches to things that were important to them. This baby is so loved already. 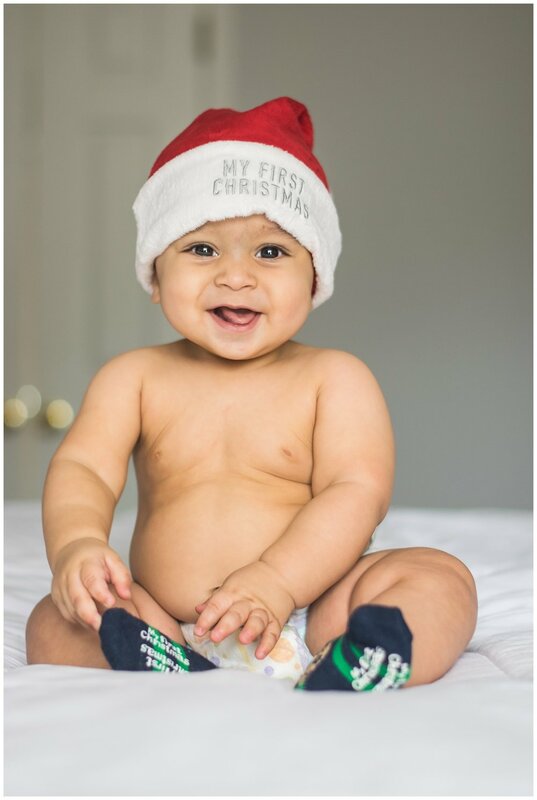 This little guy stayed awake for most of the session, but it was great to document his adorable eyes! He was wide awake and it seemed like he really didn't want to miss out on the fun. With Mom and Dad being first time parents, it's not hard to believe that it takes lots of work and patience to comfort and soothe a new baby, that does not yet know what's going on in the world! I couldn't help but to get some closeup shots of this adorable little munchkin. He has grown so much since being just a wee-bit 3-week-old newborn! 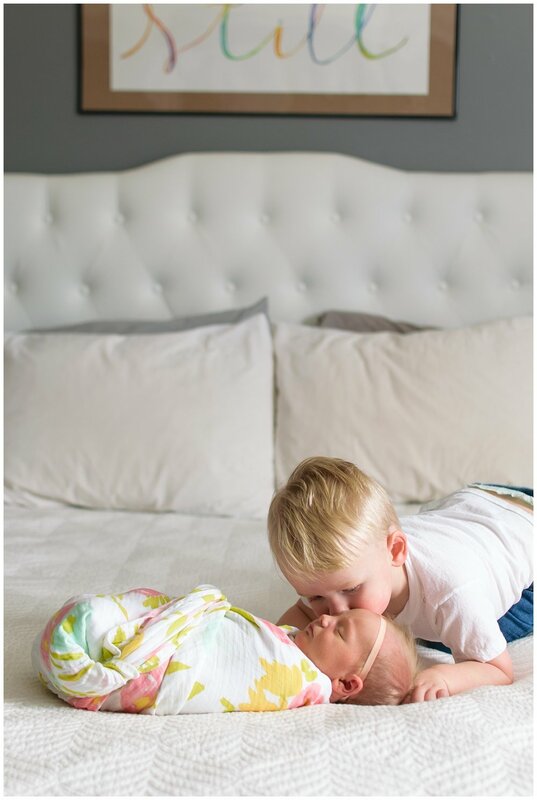 These lifestyle newborn sessions are the best! If you are interested in booking a session, please say hello! 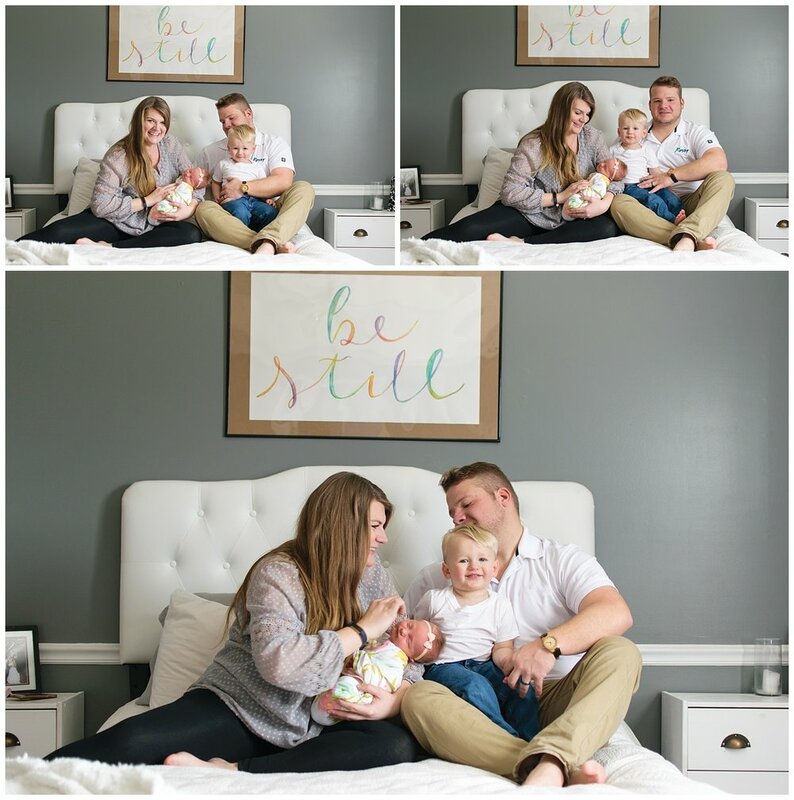 If you want to keep browsing some more adorable babies and loving families, head on over to the blog here! I got the pleasure to meet this family and take some photos in their home. Cole has such a fun time with his Mommy, and I was excited to tag along to the fun. It was Cole's birthday so we had a fun birthday cake smash for him. The photos at the end of this post, with icing on his face are the best! 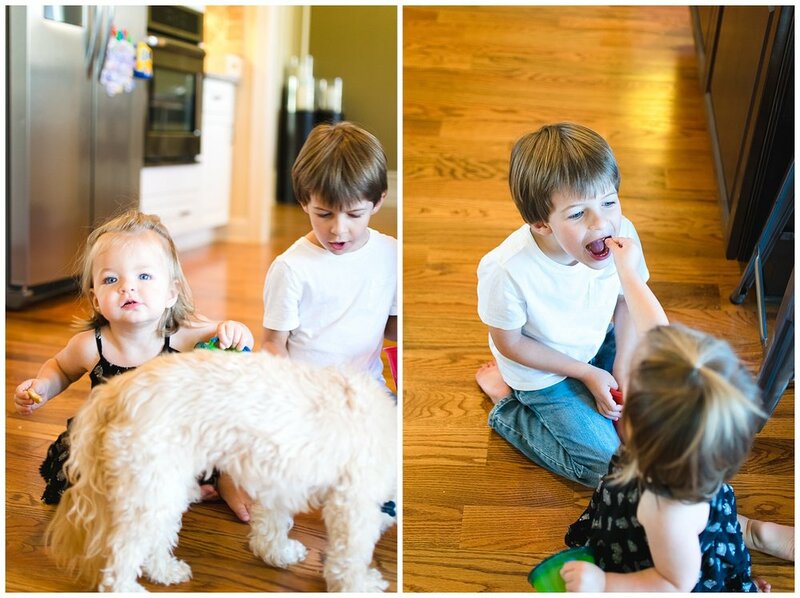 I enjoy photographing the littlest of moments during in home lifestyle sessions. I'd love to join the party for an upcoming birthday or come over on a Saturday morning to capture some snuggles and snacks! If you're interested in booking a lifestyle session, head on over to the contact page to connect! Here's some more blog posts for ya! I had the pleasure of documenting some silly moments with this family. The children were a bit excited with a new person coming into their home with a camera, but I was able to be a bit sneaky and tried to sit back and observe some family interaction. 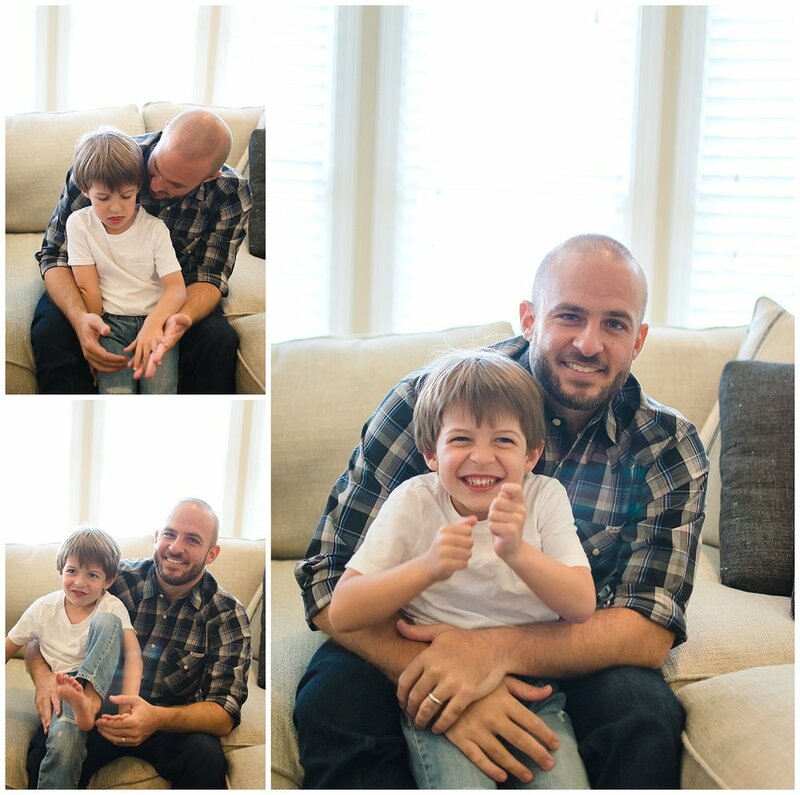 I loved the moments that I was able to document toy play, story time, and being silly with Mom and Dad. 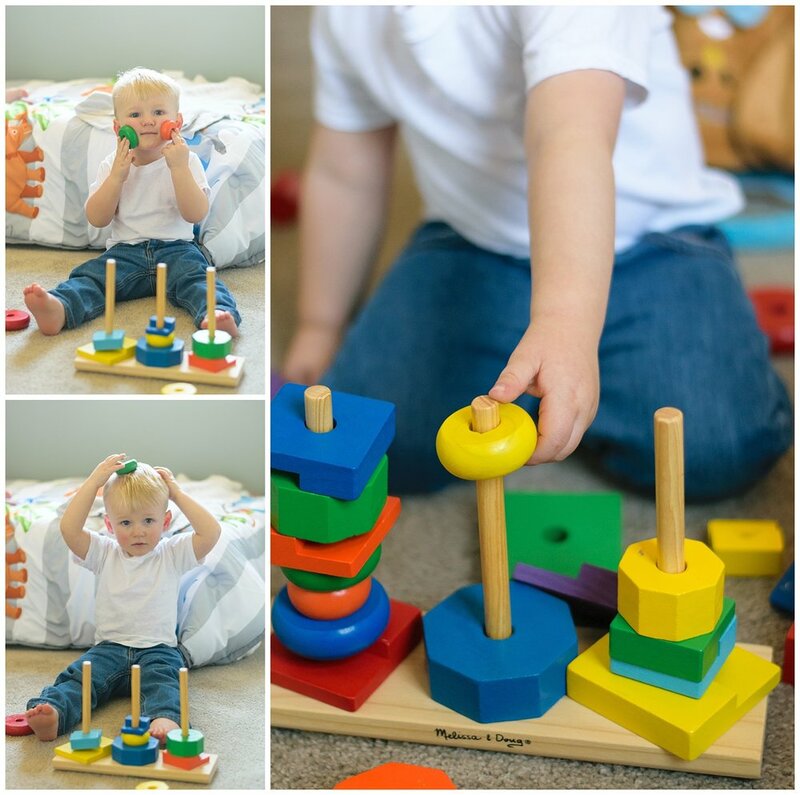 If you enjoy weekend morning play as much as I do, I'd love to capture some lifestyle moments with your family! Head on over to my contact page to say hello or check out more of my work here!